July 22, 2016 – Portlanders have flocked to BIKETOWN, Portland’s bike share service, buying 1,404 annual memberships and logging 12,701 miles as of 2 p.m. today. 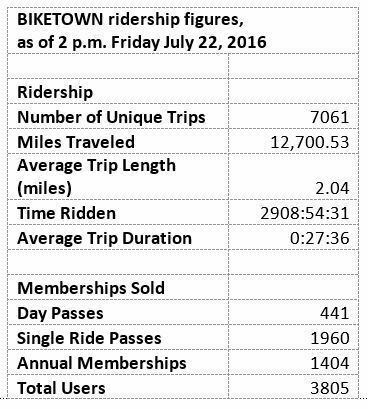 Since starting operation at 11:30 a.m. on Tuesday, BIKETOWN has sold 1,960 single-ride passes and 441 day passes. 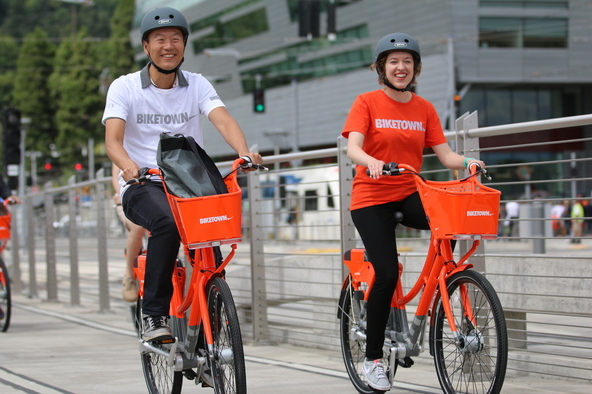 Annual memberships for BIKETOWN cost $12 per month, giving members 90 minutes a day of riding time. Single-ride passes and 24-hour passes are also available for those who want to use the program more occasionally, including tourists. By Tuesday morning, more than 1,000 people had signed up for annual memberships.